Ms. Beane is a Colorado native, she also graduated from Douglas County High School. After high school she went on to the University of Northern Colorado graduating with a bachelors degree in Biomedical Sciences and minors in Chemistry and Psychology. 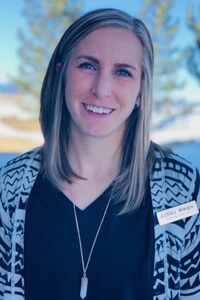 Ms. Beane then attended Midwestern University in Glendale, Arizona for her Masters in Physician Assistant Studies. Her interests include, preventative medicine, urgent care and women’s health. Very much happy with Dr. Campbell.